This past weekend I took my entire family and a friend and her mom to the Monsanto open house event. We were treated to a nice non-organic buffet of local style appetizers from maki sushi to tonkatsu. 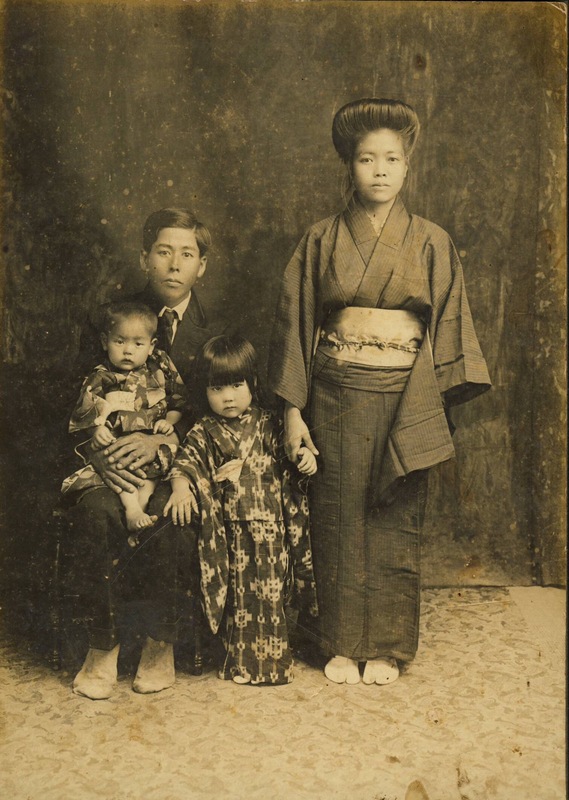 We also got to learn about the Japanese Cultural Center’s collaboration with Monsanto and the National Park Service in preserving the former Japanese internment camp known as Honouliuli. 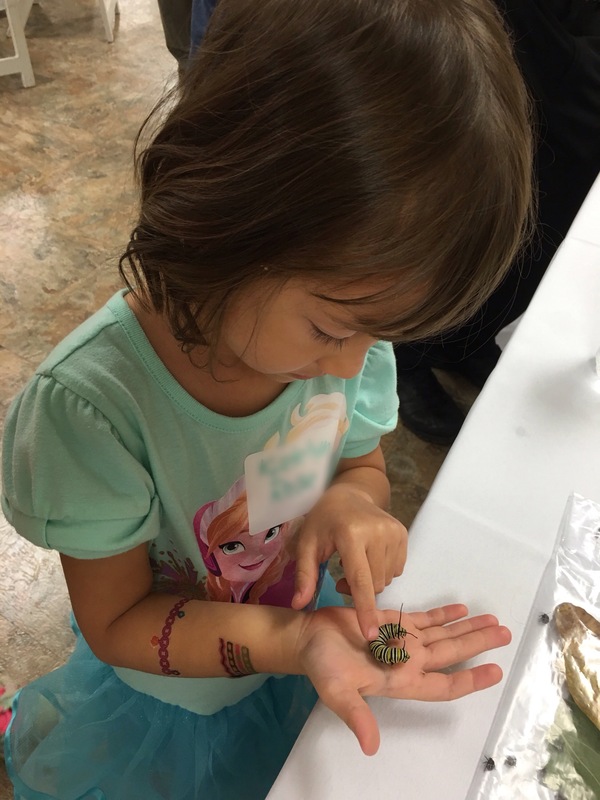 My kids had a chance to learn about bugs and a community supported agriculture program called Local Inside. I was chatting too much with fellow aggies that I missed the tour. My kids were bummed but the bugs were a fun replacement. My friend and her mom came back from the tour along with my husband and baby. (Yes, we took a baby into the fields of ground zero GMO and made it back alive. Pretty unbelievable if you believe the Internet.) We started to talk story about what she learned. She spoke about how excited she was thinking that she might get to harvest corn today. Monsanto is very keen about safety so everyone had to wear safety glasses to go out in the fields. Even my baby got a pair to wear. Well, there was no harvesting but a lot of education about the work that’s done to grow seeds for farms across the world. At the end of our conversation, she mentioned how the guide spoke about how much pesticide was used in a field. A water bottle was used to demonstrate the quantity. She immediately assumed that the small quantity meant that this substance must be exceptionally toxic if only that much was used. Her statement really struck me. I never thought that a demonstration of using a soda can over a football field was sending an incomplete message. Farmers are trying their darnedest to allay fears of pesticides but may not be doing themselves a favor by ending the conversation there. I listened to her concerns about pesticides and realized that she needed more explanation about simple chemistry, understanding of toxicity, and specificity of the crop protection product. I asked her about what she understood about toxicity which she knew nothing about so I proceeded to explain the concept called LD50. I then made comparisons with salt and glyphosate and explained it out to her while educating her about the need to control weeds. Finally, my husband explained to her about the new pesticides that were targeted for the bugs over a quick kill type of mechanism. Needless to say, she was much less fearful after that discussion. I realized that many consumers don’t quite understand pesticides either. Most of us will use Raid and see a bug die shortly after being sprayed. If you’re like my sister, you’ll douse that roach until you see it die in a pool of pesticide. That’s what many people may think about crop protection products not realizing the technology behind many of these products. They assume it’s quick kill and with a small amount, it means highly poisonous to anyone and everything, which is not the case. Let’s not forget the economics of the users either. The frightened homeowner will gladly spray the $8 can of Raid to get a dead bug. There’s no livelihood dependent upon killing the bugs. The amount spent to kill a roach, flea, tick, or any isn’t going to affect their bottom line. 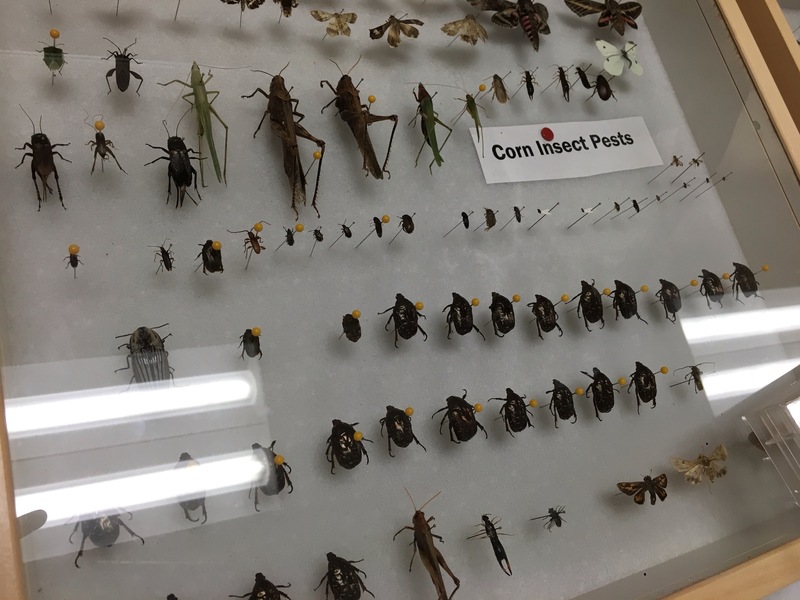 For a farmer whose livelihood is dependent on a successful crop, he isn’t going to use up that $1000 crop protection item in one field but if the bugs can destroy it, you can bet he’ll use the least amount as possible to get the effect needed to maximize his profit. I realized that developing world farmers simply don’t have the luxury to targeted crop protection products which leads them to multiple sprays during the course of a crop. When they only have access to quick acting sprays, they have to kill the bugs often or face damaged produce. While westerners are crying foul about pesticides, the poor people of the world are the ones contending with pesticide exposure and excessive use issues. I truly believe that those communicating science and agriculture have to really assess who they are speaking to and promote an atmosphere of learning. There’s so much focus on having scientists speak up but the battle can only be won through learning. We aren’t just communicating science, we are promoting learning. Learning is how science communicators can change this conversation. I dare those who are anti-GMO to learn the science behind biotechnology and farming. Watch these videos to grasp some key concepts if you can handle learning. Where’s the Farm Justice Summit? Let’s talk farming. Real farming, not those 2 acres of various things you’re growing on a gentleman’s “farm.” This farm is one that will earn you a living for years to come and hopefully allow you feed your family, put them through school, keep a roof over your head, and help you to retire. What will you need to farm? Land. Lots of it to produce enough income to pay for the inputs you need. Let’s say a decent family farm in Hawaii like ours leases some 30 acres. That costs some couple thousand a month in lease payments depending on where it is or if you purchased it, at least another $3000 a month. 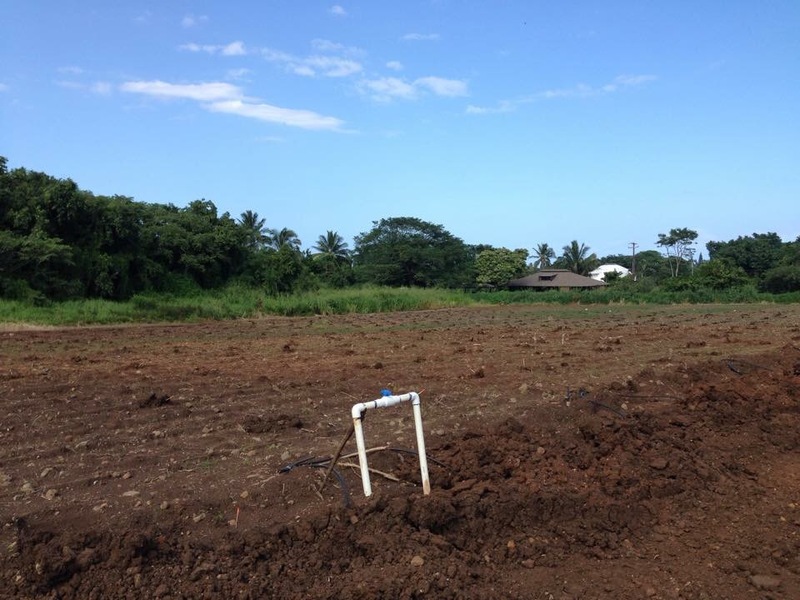 Once you have that land to farm, you’ll need the infrastructure set up to grow your crop. You’ll need pipes and irrigation lines and sprinklers here and there to cover those thirty acres. Add at least $5000 for those things and add another several thousand for the labor to put that all in too. After you’ve got your field set up, it’s time to plant it. You’ll need a tractor to plow your field. A decent one will cost you at least $40k. 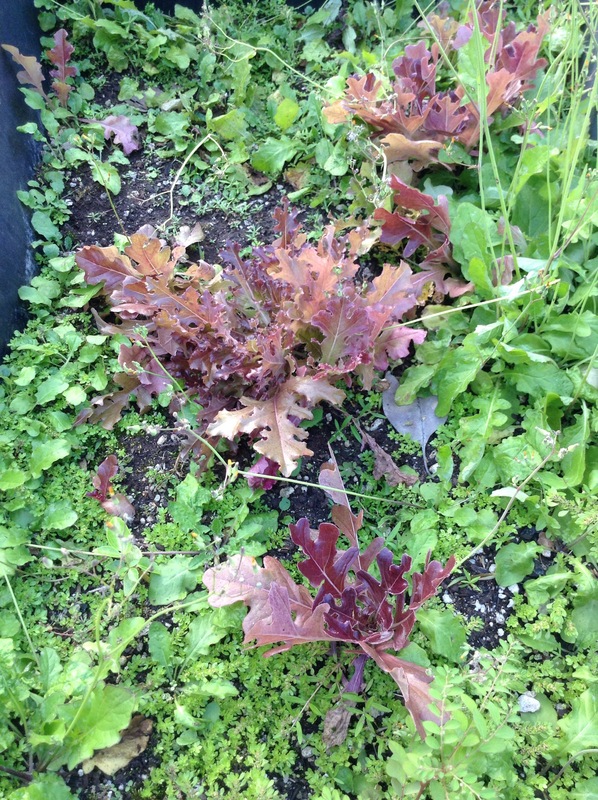 A plowed field also needs plants that have to be sheltered in a greenhouse to get to a decent size to survive. A greenhouse is another several thousand dollars to build with the parts and labor. The seedlings need medium and planting trays to start also. Add in a few more thousand dollars to the supplies and labor needed. Trees don’t exactly plant themselves so there is the cost of labor to get them in the ground. To give them a head start, a pinch of fertilizer in the holes help. A bigger tree is more likely to survive a wild pig trampling too. These wild creatures can tear up a field in a matter of minutes. You will be paying on the loans or be out a lot of money for at least 4-6 months before you get a crop. You’ve paid hundreds for labor dollars and inputs only to have to wait for the harvest. As a business owner, you’re required by law to pay your workers and cover their benefits, but you aren’t guaranteed a salary. When the crop is ready, you need harvesting equipment like a forklift and bins to store you’re fruit in. Can’t forget that all of these things also must past food safety certification. That certification cost at least $3000 to acquire and another thousand to set up the equipment needs to meet it. You will have to spend some extra money leading a portapotty to keep on your field too and hope no one steals it. It will take several months for your trees to grow to produce fruit. However, there still is work to be done. Thatincludescleanung the trees of dead leaves and thinning out fruit so that you get nicely shaped ones for the market. Odd shaped fruit can’t get premium prices. The thinning of the fruit has to happen weekly since the flowers bloom all year round and it takes a year from flower to fruit. You’ll also hope and pray that mites, parrots, chickens, or other elements don’t disturb or damage your columns of fruit. There was a portapotty that was here. Someone stole it and we’re out $2500 to cover the loss of it. You’ve waited nearly 6 months and your first crop arrives and it’s time to harvest. After you’ve picked your fruit, you’ll have to prepare it for market, which means washing and packing it. Someone has to build the processing plant for this to happen. It’s not free and will cost you around $8,000 for the time, labor, and supplies. Let’s not forget that the papayas do have to be packed into something to get to the market. Those boxes cost about $2 a box and minimum orders are several thousand. In a week, one can harvest at least 200 plus cases. A good order of boxes will put you out $15,000 or so. You can’t reuse them either because of food safety regulations, so that increases your cost too. Recall that you haven’t even sold your crop yet at this point. You still have to pay your workers’ wages, work man’s comp, benefits, and other bills you’ve gotten just to start off your farm. I don’t know of a single local person that can be out some $225,000 to start their business. It’s not even guaranteed that you’ll get a return on investment either. If activists ban ag technology or crop protection products without a validated reason other than Google, or a flock or invasive birds nibble at your crops, you are still obligated to pay back what you owe. With nothing to sell, you’re bleeding more money. No one wants to dig a deeper hole! 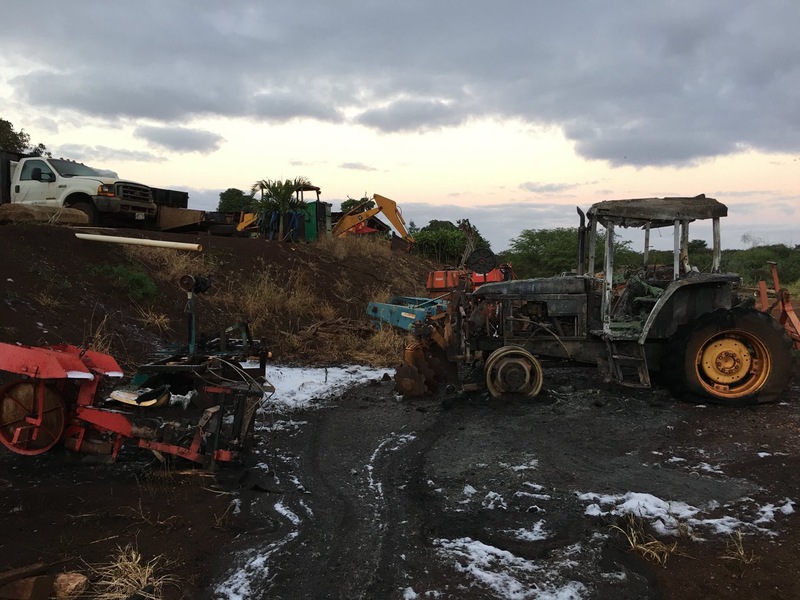 While hundreds will meet to plot the demise of corporate agriculture this weekend, the small farmers in Hawaii are still saddened by the ceasing of the Maui sugar plantation and Richard Ha’s beloved Hamakua Springs Farm. 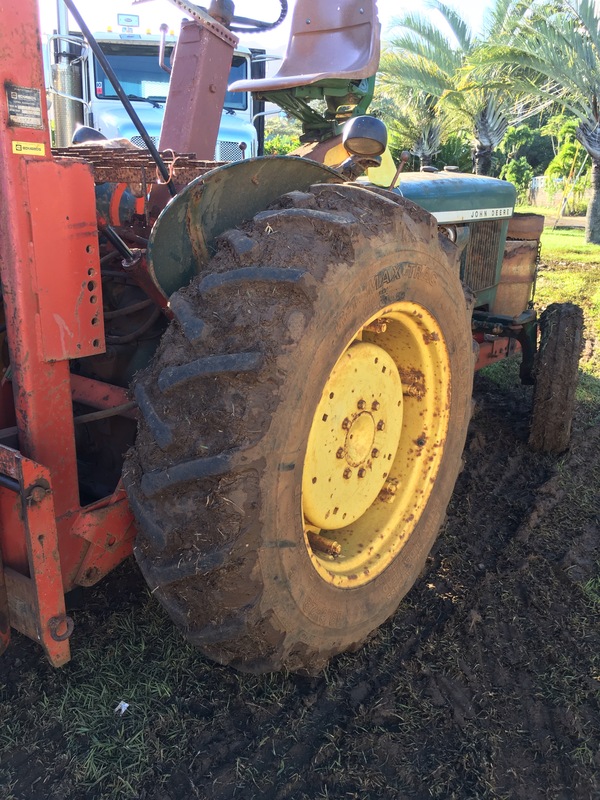 The ag community knows that so many other long time local farmers face the same challenges in Hawaii. 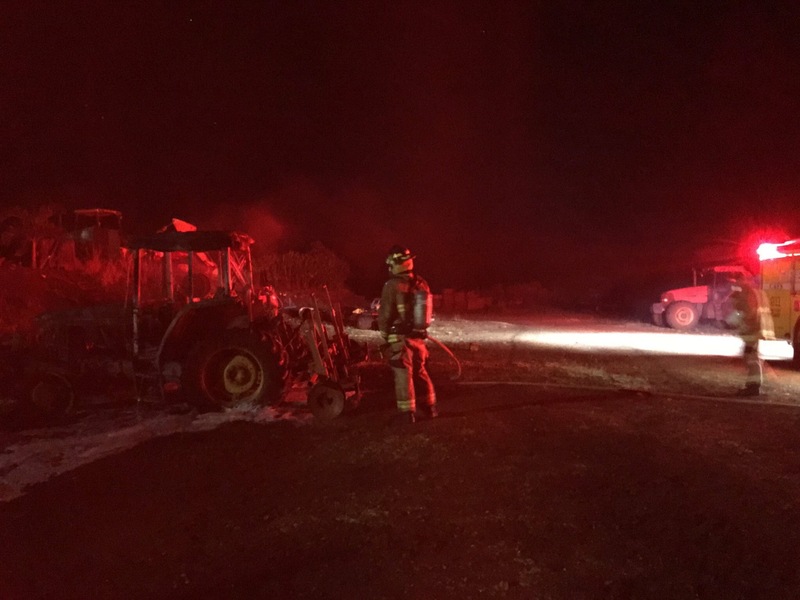 The ag sector has been attacked and our state’s bad reputation for being small business friendly doesn’t bode well for that pretty word circulating but never put into real policy to take it to action. That word is sustainability. It’s great that there’s so much talk about it but it’s clear that we aren’t practicing what we preach. We say buy local but then put policies that impede locals from producing products made here. We need to look at the larger picture about why business are closing and the local folks are jobless. Where’s the investment to keep the kamaaina working and productive? Are we supporting those policies and putting it into action? Let’s face it. There’s few folks willing to put down some $250K on a risky back breaking business venture like farming. It’s easy to TALK diversified ag as the savior to keep ag lands in ag, but unless we get some systemic changes on the business and political environment, you won’t see it happening in a flash. There’s no massive populace raising their hands to be farmers. This weekend is the Food Justice Summit but it needs to change its name to the Farmer Justice Summit. 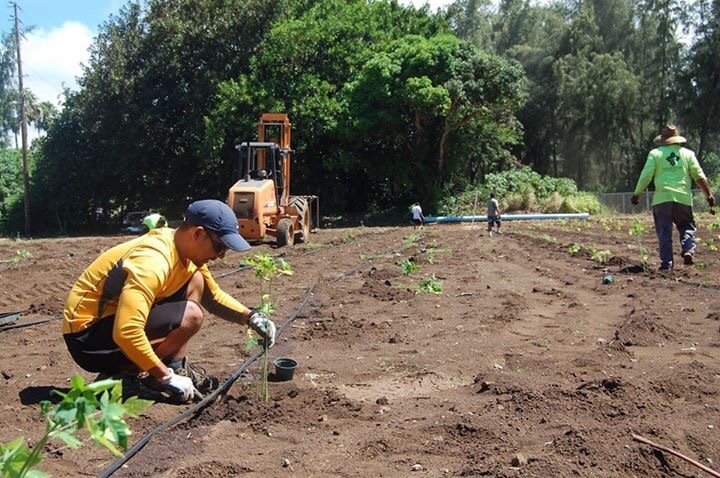 More people need to learn from the local farmers still in business now rather than international speakers who know nothing about Hawaii other than Monsanto’s presence. Don’t forget that without local farmers, you can’t have locally grown food. Support the local farmers with your wallet as well as your voice for better policies to sustain them for the future. 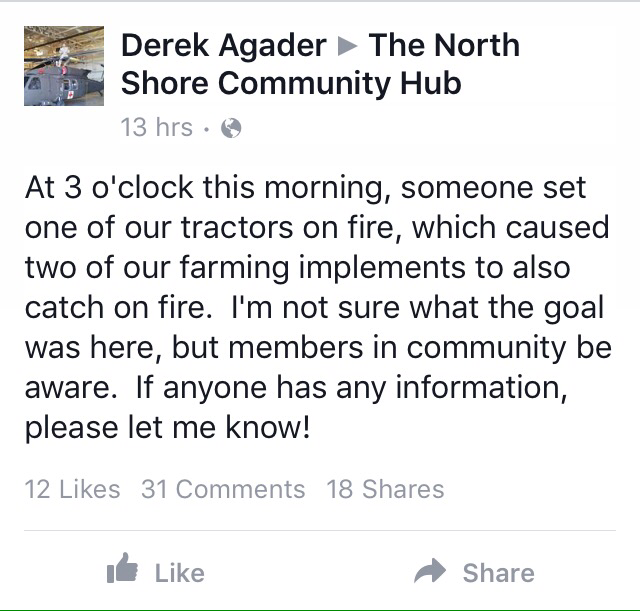 So this happened the day before New Year to a local farmer on the North Shore. 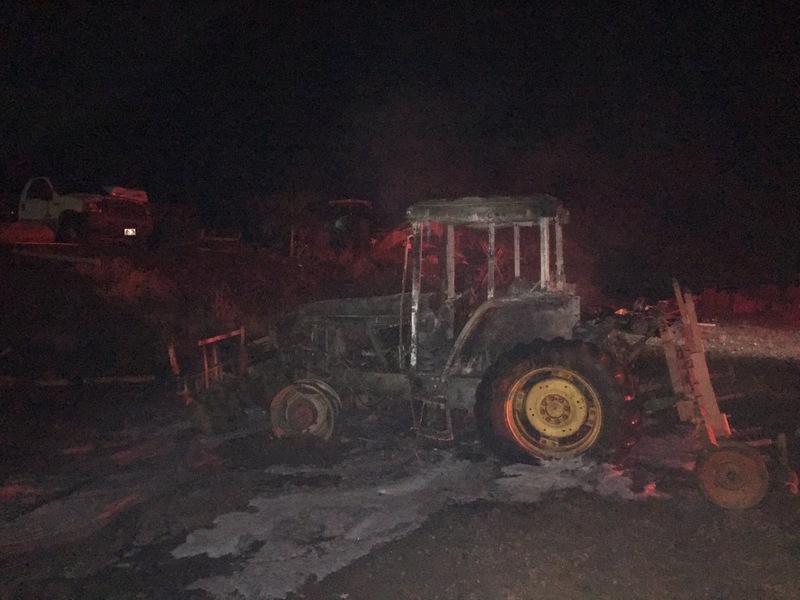 Yes, someone decided to set fire to this farmer’s equipment. What’s even worse is some of the comments that got posted. This is extremely disturbing to see small farmers being subject to accusations like this. 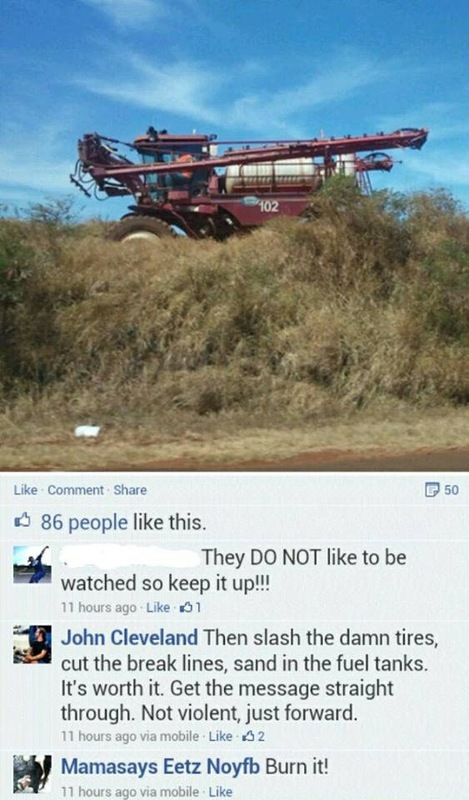 It’s even more questionable when this farmer is new to speaking up for agriculture on the social media in this group. The timing of this fire and him speaking up is a little too coincidental. The fact that these commenters can’t recognize what’s clearly wrong from right is downright scary. You won’t see the sources of misinformation condemning this action either. They simply act as if nothing is happening. This was evident with the unfolding of Bill 2491 saga when vandalism against the farms were being fueled by activists. Even Roseanne Barr wanted in on the action thanks to Babes Against Biotech’s Nomi Carmona touting crop destruction. So should we be surprised that their followers are so angry and fearful to even learn? They can’t even take the time to learn from their local farmers and continue to harm their reputations online if one should try to speak publicly. Then they point fingers at those who disagrees with them as bullies. The likes of Ashley Lukens of the Center for Food Safety and Kauai County Council member, Gary Hooser, will never come out and condemn any of this kind of behaviors either. It’s simply ignored. It can’t be ignored anymore if it threatens that 1.8% of folks who grow Hawaii. 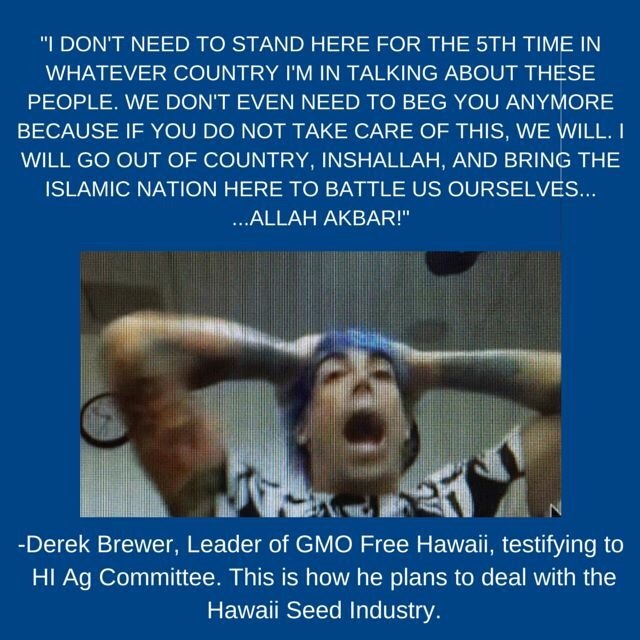 Anyone who supports people like this clearly have no aloha and is the biggest threat to Hawaii’s farmers and worst than any nanograms of detected pesticides they complain about. Here’s another clue as to why people are so afraid of pesticides but really could learn more about the amounts detected. If ones does a little bit of math and some study of toxicology, it isn’t as scary as it looks. Let me explain it with a bit of math and some data available. 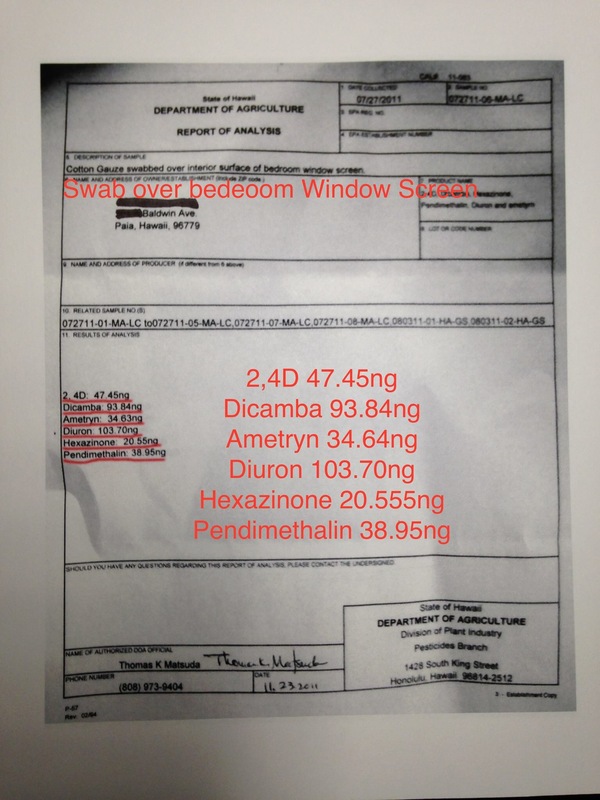 So, 2,4-D was detected on a window screen at a level of 47.45 nanograms. Toxicity is measured by LD50, which means a lethal dose where 50% of the test population is killed. The LD50 of mice is 375 milligrams/kg of body weight. That equates to 375,000,000 nanograms to be acutely toxic to mice. 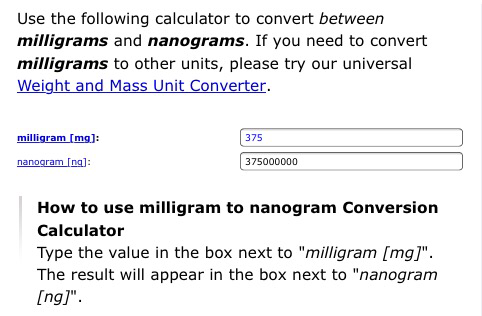 If you have a hard time with metric conversions, there are great calculators to help you calculate this. If you simply divide that number by the detected amount, you’ll get a figure of 8,247,195.95. So what does that mean? It really means that you’ll need nearly 8.2 million times of that detected level to kill a mouse. That can also explain why there isn’t masses of dead mice or rats found around farms after an application of crop protection products. But remember here, that’s the dosage to be toxic to a tiny mouse and not a human that is thousands of times larger. Let’s figure out the toxicity of the other products on that list. Dicamba was detected at 93.84 nanograms. The LD50 for this is 1190 milligrams/kilogram of body weight in mice. That means it takes 1,190,000,000 nanograms to be deadly to a mouse. It would take 12,684,159.4 times that detected amount to be toxic to a rodent. So let’s go through the entire list to really determine the toxicity of these products to mice. Ametryn has an LD50 of 975 milligrams/kilogram of body weight for mice. It would take 27,280,600.5 times that amount to be harmful to a mouse. What about the levels of other products? Diuron would need some 32,786,855.2 times the detected amount to kill a rat with an LD50 of 3400 milligrams/kilogram of body weight. Hexazinone would need some 32,76,885 times that amount to be lethal to a rat. Pendimethalin has LD50 of greater than 5000 milligrams/ kilogram of body weight for rats. It would take some 128,369,785 times that amount to be deadly to a rat. So considering the levels and the measures needed to be harmful to a rat or mouse, to us it’s a different story when put into perspective. Some people will say that these measures only reflect acute toxicity, which is true. However, when you look up some of these crop protection products, there is chronic toxicity tests done with animals and most of it turns to be in the milligrams not the minuscule nanograms. I do have to be thankful for the brave anti-GMO folks that try to spam up pro-science Facebook pages. They love to post all kinds of things from unsourced memes repeating all of the common mantras but every once in awhile they post a good one that shows the source of their fears. The great thing about this Department of Agriculture report is that it’s all hard data on there. One can’t call the nanogram found on there as “propaganda.” It’s simply data that is measured and clearly shows the truth that is easily skewed by clever politicians who don’t educate or encourage learning. 2016 should be a year of learning in Hawaii. People need to learn about what they fear and ask questions. 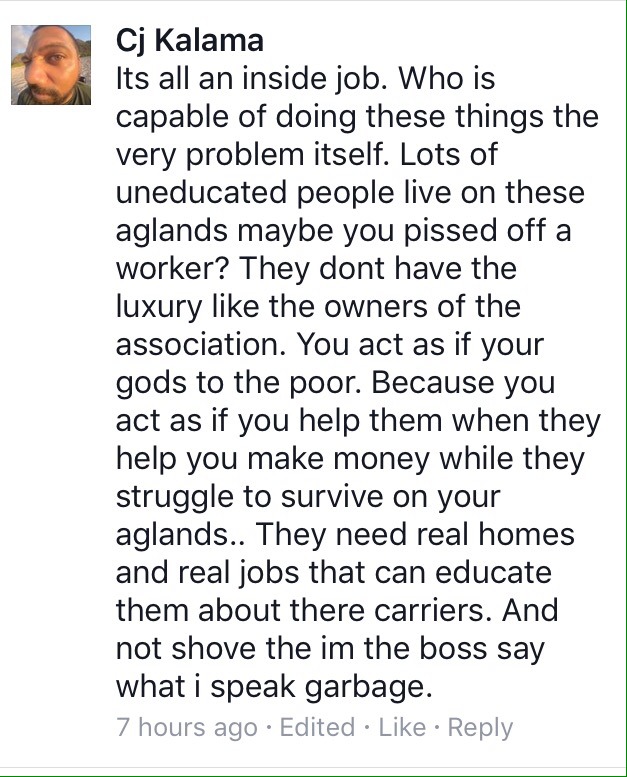 If we don’t start encouraging others to learn, we will lose more aloha and our farmers will be subjected to fearful, angry people like these. It’s time to learn science. If our politicians are true leaders, they will support the data and evidence instead of allowing these voices to be used to direct policy. They will also take responsibility for their actions and all the consequences. Unfortunately, as we are seeing, these people won’t take such steps. The real danger isn’t biotech or crop protection products. It’s the leaders and their followers who steal the aloha spirit from our islands. Testimony from the pesticide buffer zone bill proposed by Ashley Luken’s group, the Center for Food Safety.